Inalca Food & Beverage, a subsidiary of Inalca Spa (Cremonini Group) specialized in the international distribution of italian food & beverage specialties, strengthens its position in the Australian market with the acquisition of 100% of the companies Fresh Gourmet Pty Ltd and Itaus Pty Ltd, of which it already held majority stakes and which will merge into one legal entity under the name of IF&B Australia. The acquired companies, operating in Australia since 2003, are specialized in the distribution of fresh & fine foods from all over the world, particularly from Italy, France, Spain, Holland and Greece, with more than 700 references and about 350 customers (hotels, restaurants, regional distributors, catering chains and top national retailers, with customers such as Aldi, Woolworths, Costco, Harris Farm and Coles). The business consolidation activity in Australia is part of the IF&B expansion strategy overseas, in a market that has high growth rates of high-end imported products, mainly of European origin. Full control of companies will speed up the original development plan which includes new distribution subsidiaries in Brisbane and Melbourne as well as upgrade existing Sydney infrastructure. In fact, by the end of October, in Sydney will open a new logistics and distribution platform for storage of products at different temperatures (ambient, chilled and frozen) in the Alexandria neighborhood: a modern and functional structure, strategically located between the port and the city center, will gradually increase the reach in the territory, considerably increase product references and offer more and more on demand and quick services to its customers. Inalca Food & Beverage is a subsidiary of Inalca Spa (Cremonini Group), specialized in the international distribution of traditional Made in Italy food products. Born in 2012, IF&B represents a central platform that covers all the distribution supply chain. Its mission is to simplify the exportation of Italian agro-industrial products, relating small and medium producers with foreign importers and distributors, working mainly in the B2B sector. IF&B aims at expanding its global presence by acquiring small and medium local distributors, that may guarantee the “last mile distribution”. Currently IF&B has 25 distribution platforms and 4 plants in 9 countries: USA, Cape Verde, Thailand, Hong Kong, China, Malaysia, Australia, Mexico and Canary Islands. It manages a catalogue of more than 10,000 items that represent the Italian excellences. The company, part of Cremonini Group, European leader in beef, cured meats and snacks production, and food products distribution in foreign markets, is one of the few Italian companies to control the entire production chain. The company, participated by Cdp Equity (Cassa Depositi e Prestiti Group), in 2016 reported revenues of 1.76 billion Euro, of which 50% abroad. It has an international presence with 15 production plants (including 12 in Italy, 2 in Russia, and 1 in Canada) and 26 logistic distribution platforms (6 in Russia, 1 in Kazakistan, 4 in Angola, 3 in Algeria, 5 in Congo, 4 in Democratic Republic of Congo, 2 in Mozambique and 1 in Ivory Coast). Inalca commercializes annually more than 500,000 tons of meat, produces 100,000 tons of hamburgers, 200 million cans, with 7,200 product references (with Montana, Manzotin, Ibis and CorteBuona brands) and has 5,050 collaborators. 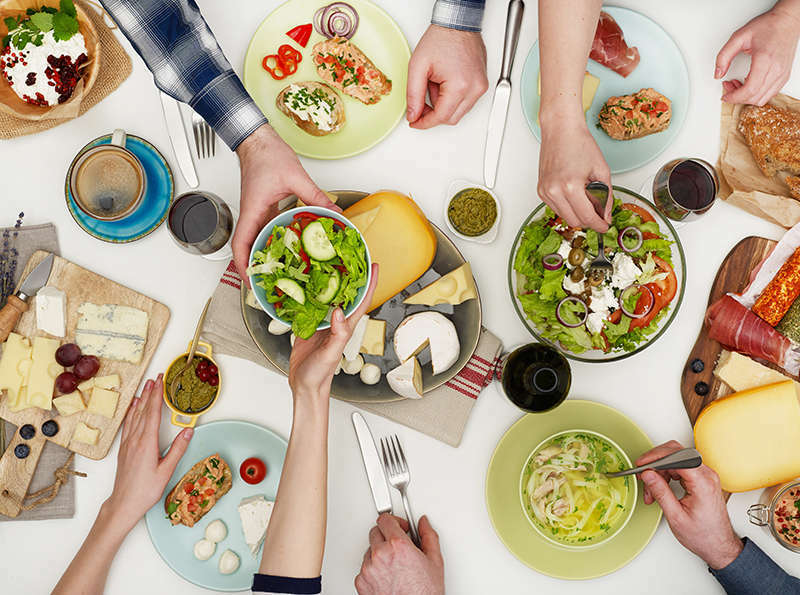 Cremonini, with over 11,000 employees, and a turnover in 2016 of over 3.7 billion Euro, of which about 35% generated abroad, is one of the largest food groups in Europe and operates in three business areas: production, distribution and catering. 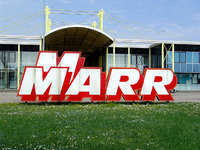 The Group, founded in 1963 by Luigi Cremonini and based in Castelvetro di Modena (Emilia Romagna, Italy), is leader in Italy in the production of beef and processed meat (Inalca, Italia Alimentari) and in the commercialization and distribution of food products to the foodservice (MARR). It is leader in Italy in train stations buffets, vaunts a significant presence in the main Italian airports and motorway catering and is the leading European operator in the management of on-board train catering (Chef Express). It is also present in commercial catering with its steakhouse chain branded Roadhouse Restaurant.